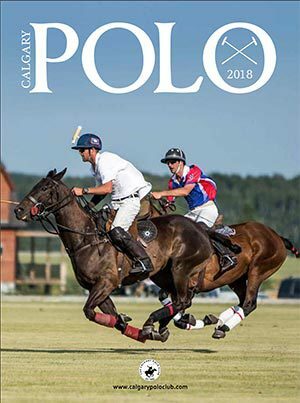 One of the signature sale events of the year for western riders in Canada is the annual Fall Select Sale, hosted by the Alberta Quarter Horse Breeders Group, and coming up this coming Saturday, November 6, during Farmfair, at Northlands in Edmonton. I touched base with AQHBG Selection Committee members Brian Hunter and Don Edey earlier this week to get their thoughts about this year’s sale and the western horse market of late. I really enjoyed hearing the perspectives of these AQHBG Directors, both of whom hail from different genres of the western horse industry. The Alberta Quarter Horse Breeders Group has held this sale for an astounding 37 years. Quite an accomplishment all on its own. Since your involvement in the Group, what has been the most significant change(s) in the type of horse you have for offer from then to now at the annual Sale? Don Edey: Marci (Edey) and I have consigned horses for about six years. I think that in these six years we have attracted improved quality in terms of conformation, better fitted for the sale and pedigree (although I would be quick to add that a lot of our sale supporters are more focused on the horse than the pedigree). Brian Hunter: I’ve been involved for approximately 10 years as a Director first, then Sale Director and for the past number of years as Chairman and Sale Director. I think the horses are getting better but there is more breeding toward different disciplines within the industry. 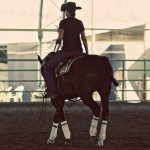 The same horse used to be used for ranch work, cutting, reining, working cow horse and pleasure classes both in western and English but now the breeding is more specialized. What would you like to point out about this year’s offerings? DE: We continue our focus of selecting a mix of prospects, started and trained horses. Other sales cater to weanlings and yearlings but this sale is strong on the 2-year-olds through to bridle horses. BH: As we are a “Breeders Group”, we always have a selection of ages plus broodmares. The majority of our sale horses this year are yearlings, 2 and 3-year-olds with a good cross section of older horses. Also, there is an abundance of color this year. There has been a lot of talk about some significant dispersal offerings down south this fall, most have now passed with greater than anticipated results. For instance, the Ohio Congress Sale enjoyed a 40% increase in average sale price. What does this say to you, as both breeder and AQHBG Director? DE: I would think that the buying public is willing to spend a good dollar on a good horse. I don’t know of any purchase that one makes that exemplifies more the expression “you get what you pay for”. My experience is that the most important contributor to any sale is the buyer. The sale results you mention are refreshing as it indicates that buyers are buying. BH: As you know, the horse business in the United States, up to recent times, has always enjoyed a better business climate due to population and tax implications. We can only hope that as our economy picks up, so will the market for good, quality bred Alberta horses. How has what’s happening down south affected the Canadian market? DE: We live in a global village and the U.S. does affect our markets. Our sale caters to the complete continuum of horse discipline. Variety is typical of this select sale (right from ranch horses, rope horses, trail horses, English, pleasure, penning and arena horses). Our members in the Breeders Group have a diversification of focus for sure. A lot of sales are focused on arena performance and the U.S. market likely impacts that market more than our customer base. There are a lot of horses in the world. Good horses can be found if you are diligent. 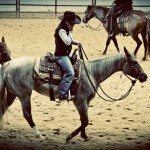 We all aspire to own the great horse – and the definition of great can be a safe trail horse for a ten-year-old daughter or a CFR qualifying barrel horse. BH: I think that besides the downturn in the U.S. economy and up to recently as you stated, lower horse prices as a result, another major factor is the lack of slaughter facilities in the U.S. and therefore a lot of horses being shipped up here which affect our baseline price and draws down all the prices. 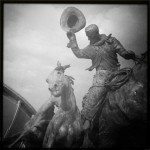 Would you agree that the western horse industry is in the center of a “correction”? And if so, what’s your take on how long this will last, what it will take to get through, and finally, what type/age of horse savvy horsepeople will be looking to invest in, during this down time? 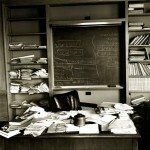 DE: I don’t know of any industry that is not in the center of a “correction”. People are scambling to reduce debt, manage debt and things are definitely tighter. On the bright side regardless of the downturn people still golf, sail, ride, travel and horses are a passion to live for for a large segment of our population. Any downturn provides the opportuntiy to buy at a discount. I think we are seeing the incline happening and those who have taken advantage of the buying opportunity will be well rewarded in relative terms. In the performance world if competing at a high level is your goal the dollar value of that exceptional athlete can be a very sizable outlay. The horse sport world is a pay-to-play reality. I always say if you don’t have a good horse, go get one, and we have some good horses from top breeders consigned at this sale. A lot of customers over 37 years have found a good horse at this annual sale. 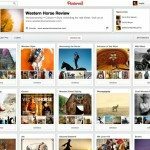 BH: I don’t know if the western horse industry is in the centre of a correction but I do believe now that the PMU industry is not producing as many horses for market and if the slaughter industry comes back in the U.S., along with their economy, we may see some longer term confidence both there and here, and people may begin paying what well bred and trained horses are worth. 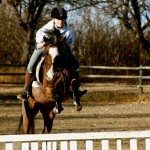 The type of horse a lot of people are looking for is the overall recreational horse which they can use in amateur events, plus go to the mountains on or just enjoy trail riding with on weekends. Do you recall a similar time of correction in the past 15 years? DE: Marci and I have foaled 25 years of foal crops. I can’t recall a similar correction but we have never had the same dynamics (recession, slaughter ban, protest movements that are now real issues). BH: I think we had a correction awhile back when the PMU industry was booming as it did affect the market value of the weanling horse market. Also the downturn of the early 90’s along with drought conditions in certain areas causing feed to escalate hurt the industry. Cattle prices have also been a factor although they have started to rebound. Do you want to share any feedback you have received from consignors this year? DE: Usually the feedback comes after the sale and typically those who have a good sale are thrilled and those that don’t are concerned. Anyone in this business has hopes and dreams. As Board members and volunteers we are committed to providing a quality venue, a selection of the best we can attract as a selection committee and then make the buying opportunity favorable to both the buyer and the seller. BH: The feedback I’ve heard from consigners is no different than other years. They just hope to get their costs out and promote their horses. Nobody expects to get rich! They are in it for the love of the horses. 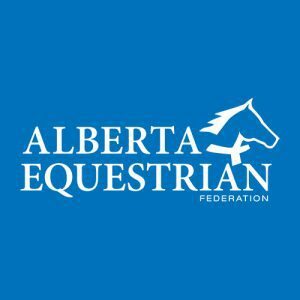 Why is the Alberta Quarter Horse Breeders Group important to the western horse industry, and particularly in these uncertain times? DE: The Group is the promotional vehicle of the Quarter Horse breed in Alberta. The Directory enables members to attract customers and advertise their offerings. The Sale gives breeders the opportunity to market, and the buyer the chance to buy the best we breed. Breeders for the most part need to use all available mediums to market and it extends beyond the farm gates for most. We are good for the western horse industry because we promote the Canadian horse industry. 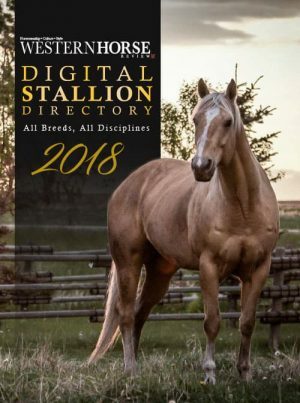 The western horse industry is a huge industry when you consider the suppliers of horse related products, training, stabling, events, advertising, reporting, professional services and all of the additional dollar values generated. To support the Canadian horse industry breeders need the support of the Canadian horse industry. To support we need support. We have terrific product, a solid group of breeders and a time-tested sale. Thanks to both Don and Brian for their excellent input into the common discussion in every barn of late – how’s the western horse market faring and where are we going. 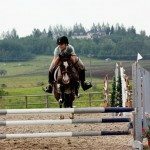 Naturally, buyers need to purchase the horse which meets his or her needs, whether Alberta, Canadian or American bred. Like many, I consider it a bonus when I can find exactly what I need right here, and thereby support our western horse industry. A strong horse market here reverberates locally, nationally and continent-wide. Kudo’s to the Alberta Quarter Horse Breeders Group and their continual quest to perpetuate great quality Quarter Horses bred right here in Canada. Again, the sale is this Saturday, at Northlands in Edmonton. Hope you can make it! 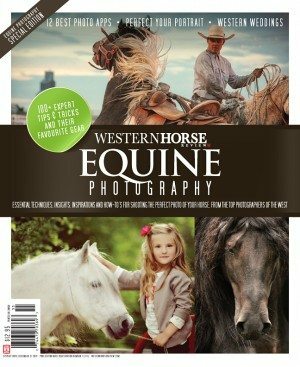 Look for sale results in the Winter issue of Western Horse Review, and right here on this site.